Mazda will launch a new generation of its MX-5 Miata next year but to see off the current version, as well as celebrate the nameplate’s 25th anniversary this year, the Japanese automaker has launched a new special edition. 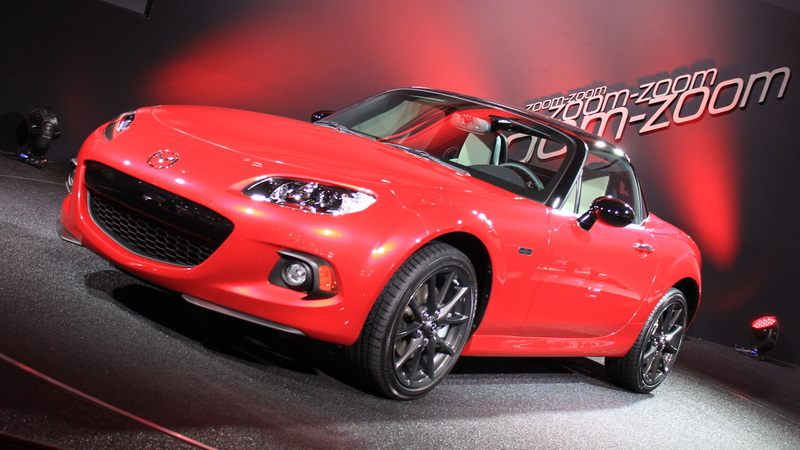 The car is based on the current, third-generation MX-5 and is called the MX-5 Miata 25th Anniversary Edition. It makes its world debut today at the 2014 New York Auto Show and will be going on sale this spring as a 2015 model. Only 100 examples are earmarked for the U.S. so spotting one in the wild won’t be easy. You’ll be able to recognize the car by its metallic red paint, black A-pillars, gunmetal gray 17-inch aluminum wheels, and black detailing on the window surrounds and side mirror caps. Inside, there’s almond-colored leather trim for the seats and door innards, a satin finish on some of the dashboard elements, aluminum pedals, and black leather on the steering wheel, hand brake lever, transmission surround and armrests. Special touches include red contrast stitching, unique badging, and a hand-painted instrument panel. This panel features a red base paint but is delicately hand-painted a shiny black gradation, meaning no two vehicles will feature the exact same texture. 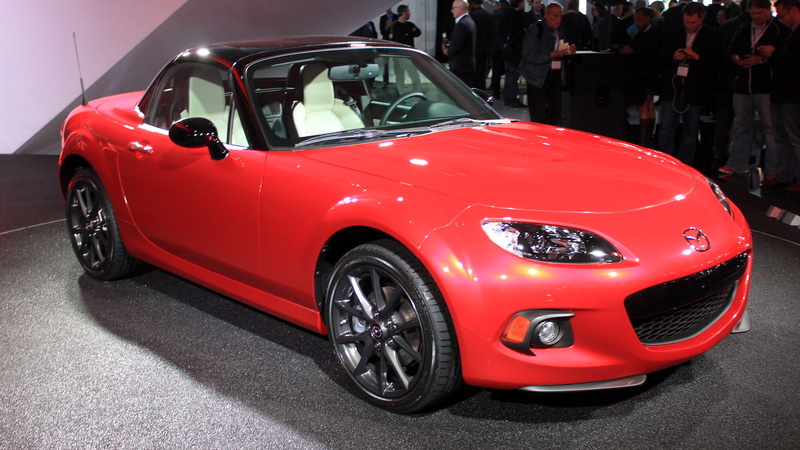 Also previewing the meticulous detail that the next-generation MX-5 will entail, the MX-5 Miata 25th Anniversary Edition features a new set of pistons, connecting rods and flywheel, which were picked in order to reduce weight and provide better balance in the engine. 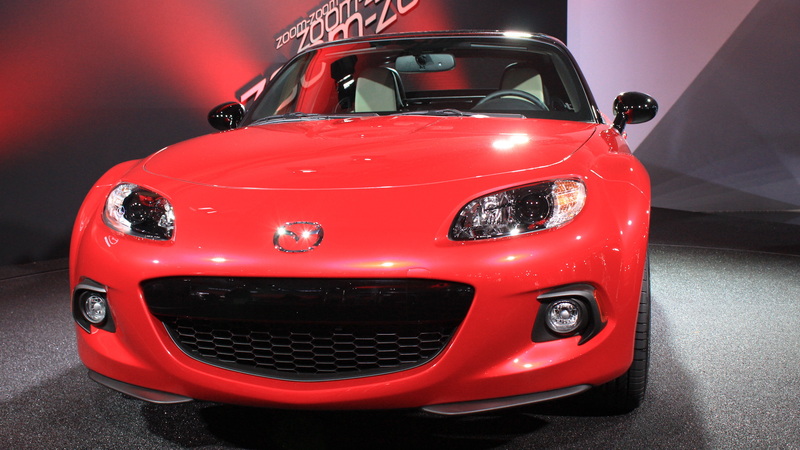 Mazda says the engine of the special edition revs more freely, providing improved response. In addition to this, cars equipped with a manual transmission also get Bilstein dampers as standard. The standard wheels are a light alloy design, and come fitted with grippy Bridgestone Potenza tires measuring in at 205/45. 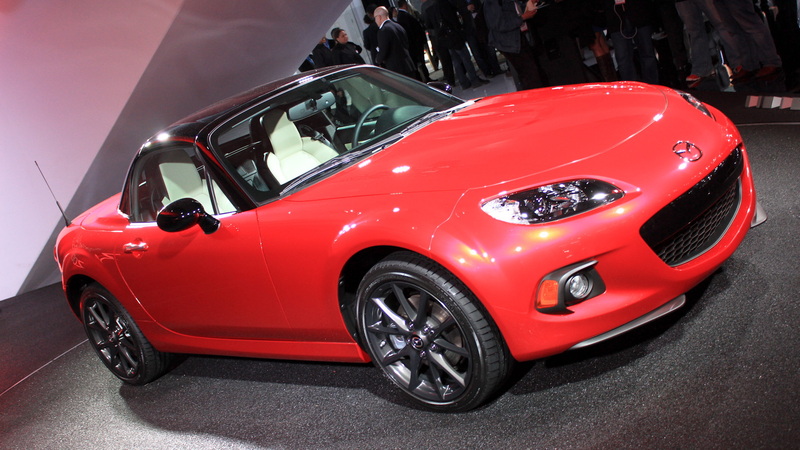 On February 9, 1989, the world was introduced to the very first generation of Mazda’s MX-5 Miata at the Chicago Auto Show. The first, the NA, then went on to win rave reviews from many of the top magazines and would eventually spawn two successors. 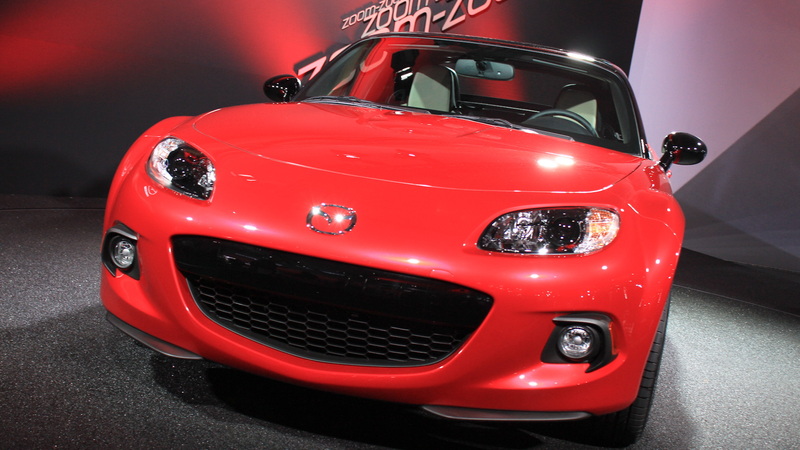 Now, a fourth generation of the iconic sports car, the ND, is in the works, and while it would have been great to see it at the 2014 New York Auto Show this week, the third-gen-based MX-5 Miata 25th Anniversary Edition is still a pretty sight. For more coverage from New York, head to our dedicated show hub.